We provide roofing services including emergency roof repair for residential, commercial and industrial clients and undertake all aspects of roofing services. This includes new roofs, roof repairs, flat roofing, slate roofing, tile and felt roofing, asphalt & lead roofing and all types of guttering work. 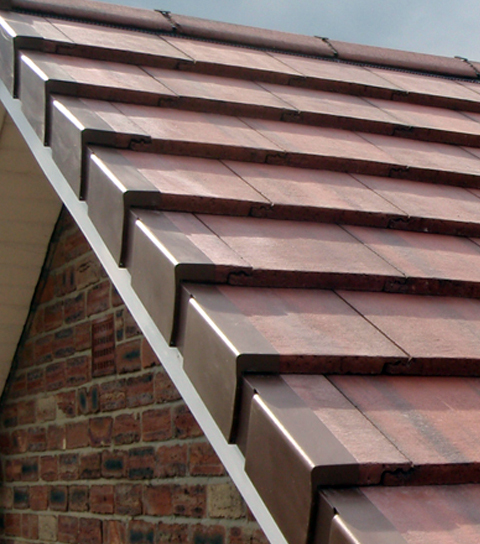 We also offer UPVC cladding, fascias and soffits, lead work, pointing, carpentry and chimney refurbishment. ATS offers the complete roofing service from major re-roofing projects to minor domestic roof repairs, that are not only competitively priced, but also offer you peace of mind. 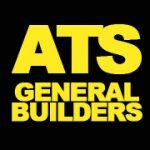 Whether you’re simply a homeowner in need of roof repairs, or a large business requiring flat roofing work for one of your facilities, ATS has you covered. We believe that every job should be given the exact same level of commitment and effort no matter the scale of the project, when you request ATS roofing services; we make sure you only get the best service possible. Roof repairs have to be carried out correctly first time without cutting any corners; this is something that some Glasgow roofing companies can actually neglect, leaving you having to pay for even more repairs later down the line. ATS believe that there should never be any unneeded spending or hassle when it comes to something as important as roof repairs for your home or business. Roof repairs are too important not to have them carried out correctly and professionally, that’s why ATS always get the job done right first time as Glasgow’s leading roofing company. Flat roofing comes with many advantages for commercial and industrial clients, making it a very popular choice for business facilities. As the leading roofing company in Glasgow, we offer flat roof installations and flat roof repairs at the most competitive prices you can find for the highest level of quality available. With ATS flat roof repairs and installations, you get the best value for money as we offer our roofing services using only quality materials crafted by the most skilled roofers in and around the Glasgow area. The great thing about the ATS flat roof service is that it saves money, as flat roofing uses fewer materials than most other roofs, and it takes less time to install a whole new flat roof. So not only will you have a great looking and effective new flat roof for your facilities, you’ll save time and money with it to. The ATS flat roofing service is a great opportunity for all kinds of businesses to invest in their property for the future, with all work being carried out by only the best tradesmen Glasgow has to offer. You may end up finding that you require emergency roof repairs carried out quickly and professionally at some point or another, know that our roofers here are ATS are some of the best tradesmen around, specialists in emergency roof repairs. As one of the most reliable and well-known roofing company’s in Glasgow, we’re sure you will be 100% satisfied with the roof repairs our local tradesmen carry out. Each contract we commence is treated with the same respect: Carpets and wooden floors are covered with a protective plastic sheet which is left for the duration of the job and every effort is made to keep any dust and disturbance to a minimum. All our work is guaranteed, based on a written estimate prior to works commencing and we carry out insurance work. This is to give our customers peace of mind, knowing that the job will be a carried out by professionals using only the finest in materials.